Labor Day weekend is fast approaching, and if you’re like me, you want to eat good, but don’t want to spend hours slaving away in the kitchen. When you sign-up now to follow Some Kinda Good, I’ll send you my end-of-summer recipe bundle to download FREE! 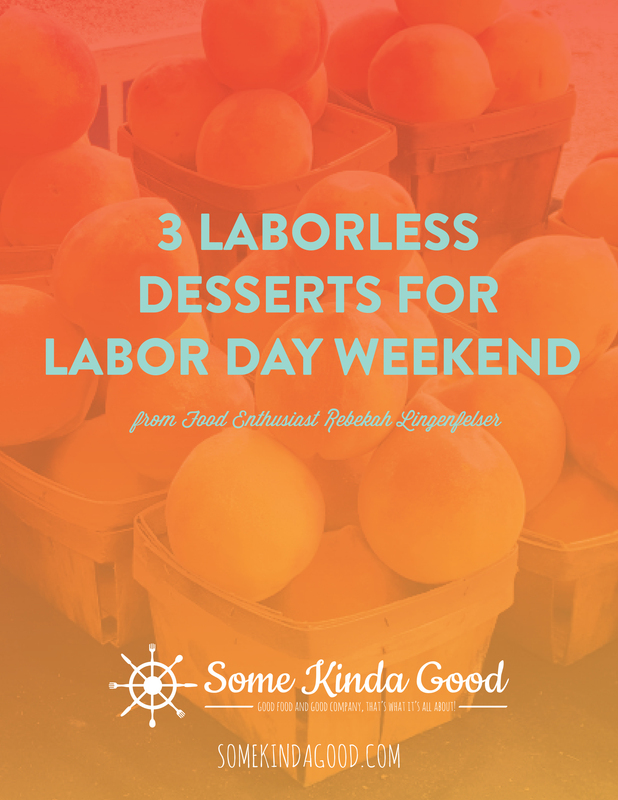 You’ll get “Three Laborless Desserts for Labor Day Weekend” including stunning photographs and easy step-by-step instructions for each recipe. Featuring summer’s finest fruit, these desserts are simple, Some Kinda Good and sure to complement any cookout. I hope you enjoy these delectable dishes from my kitchen. It’s my small way of saying thanks!